The movies have made aliens and UFOs part of our popular culture. But, sightings of unidentified flying objects are very much a part of our daily lives as well. 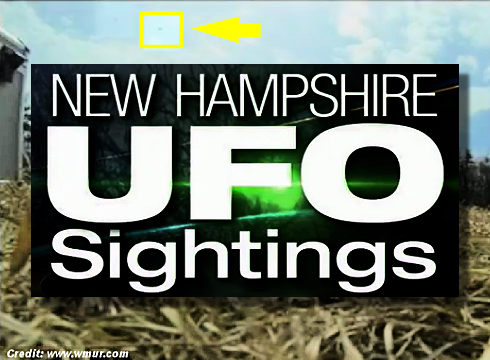 Whether alien spaceships, secret government projects or debris caught in the wind, they are actively investigated, even in New Hampshire. These days, looking for UFOs is a hobby among some, with purported sightings often posted to YouTube. It’s not something Erik Poore ever imagined himself doing, until the real estate photographer from Derry had his own experience. Poore was test-flying his new mini-quad copter with its GoPro camera that day and what it saw above the Robert Frost Homestead in Derry has left him mystified. “It crossed this entire sky in a second. In a little over half a second,” said Poore. . . .